Bentley Systems announces early access of OpenBridge Modeler CONNECT Edition. OpenBridge Modeler integrates with OpenRoads Designer CONNECT Edition and now incorporates real-world conditions throughout the design and construction lifecycle. OpenBridge Modeler CONNECT Edition enables BIM modeling of bridges and can adjust dynamically to changes in the roadway design made in OpenRoads Designer. 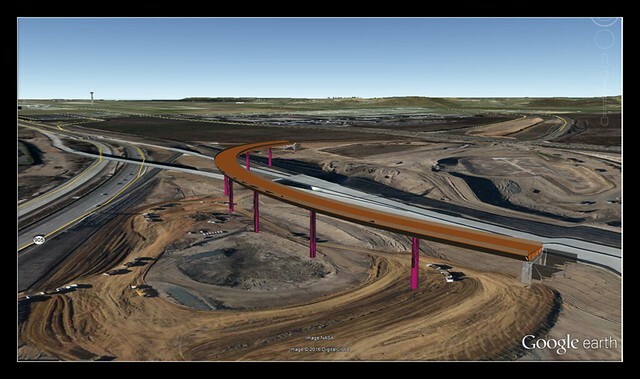 In addition, all bridge BIM modeling can now be done in context, incorporating reality modeling data such as reality meshes, imagery, point cloud, and other geo-coordinated data sources. OpenBridge Modeler CONNECT Edition uses 3D constraint modeling to create functional components for selected bridge elements. Easily adjusted variables allow bridge engineers to respond to new design requirements. And, using MicroStation’s Documentation Center, engineers can automate bridge plan and profile drawing generation with intelligent automated dimensioning and property-driven annotation. Assemble contextual data rapidly from a variety of sources, such as point clouds, 3D reality meshes, terrain data, drone imagery, and geospatial information. Contribute accurate, intelligent 3D bridge information models to the overall project lifecycle, improving operational efficiency, minimizing business risk, and ensuring regulatory compliance. Exchange data bi-directionally with bridge analysis and design software to rapidly analyze and cost estimate multiple bridge types and alternatives early in the project. Automatically generate accurate bridge plans and profile sheets with intelligent automated dimensioning. Perform clash detection with existing infrastructure, and check for required minimum clearances between adjacent structures and bridge elements. Eleven of the ENR top 20 design firms, and 24 U.S. Departments of Transportation are now using OpenBridge Modeler to develop complete BIM models of their bridges. Firms can mitigate risk by performing conflict analysis of the bridge structure with existing infrastructure to save time, eliminate building errors, and reduce project costs. With the Amur River Bridge, the first road bridge over the Heilongjiang River between China and Russia, BIM modeling of the bridge allowed designers to accurately calculate the engineering quantity of members, effectively improve the accuracy of engineering costs, materials, and machines, ultimately reducing the project delivery cost. Using the PCL parametric modeling language, an accurate parametric bridge model was created for use in structural analysis, which improved modeling efficiency by more than 50 percent compared to previous projects. OpenBridge Modeler CONNECT Edition helps engineers develop intelligent 3D bridge models within the context of an overall infrastructure project. Users can calibrate design to terrain, roadways, access ramps, and related infrastructure by directly interoperating with Bentley’s civil design applications. You can enliven designs with lifelike renderings, minimize costly construction delays with traffic and construction simulations, and control costs using clash detection capabilities to reduce interference problems before construction begins.